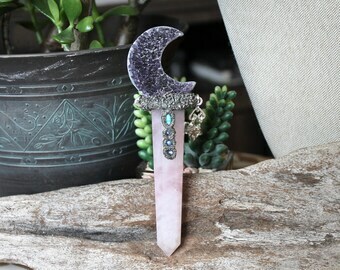 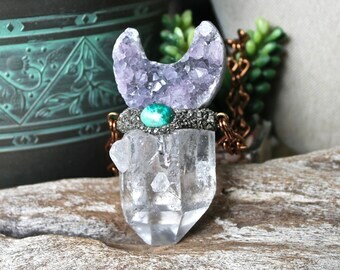 This amethyst crescent moon crystal has been attached to a crushed pyrite bail with an adorable little chrysocolla gem securely set on top and a small rainbow moonstone set on the front. 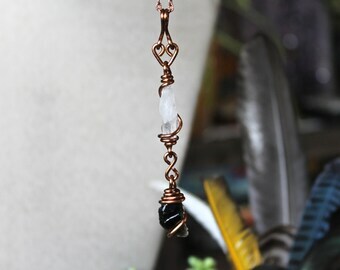 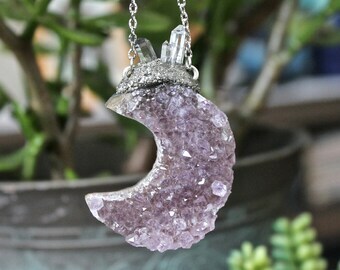 The amethyst crystal moon comes on a bronze chain and the total length of the moon necklace is 20 inches *If you need a custom length please leave us a note at checkout! 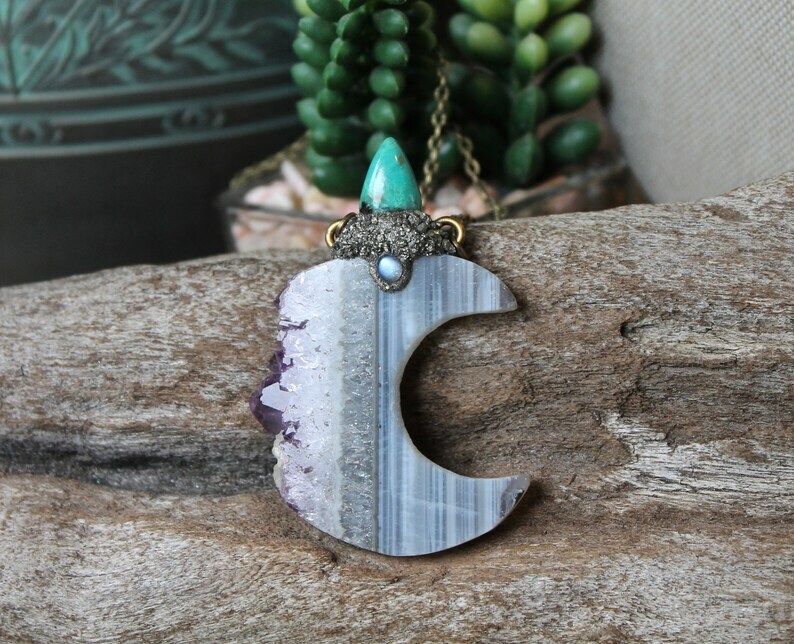 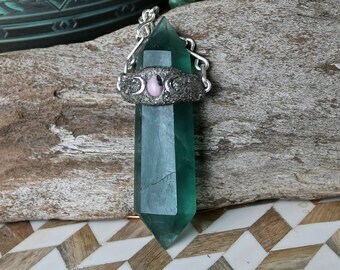 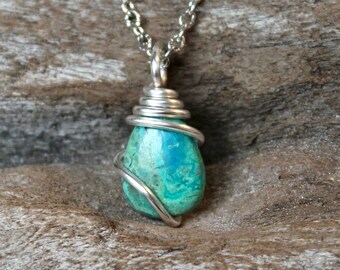 The amethyst crystal moon measures 1.6" long x 1.5" across and the total length from the top of the chrysocolla gem to the bottom of the amethyst moon is 2.25 inches. 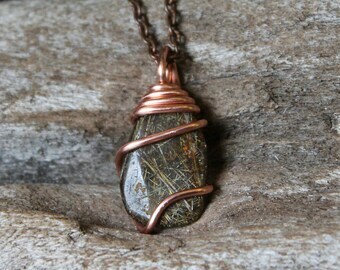 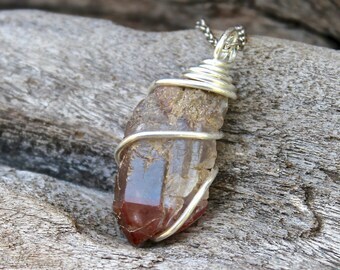 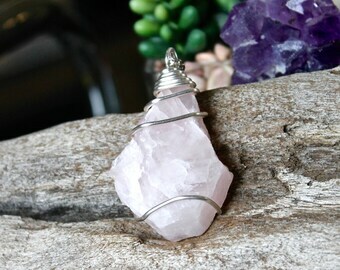 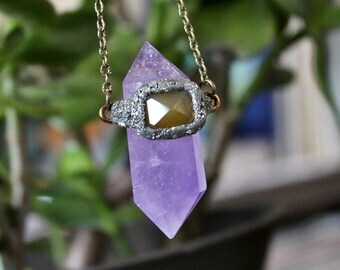 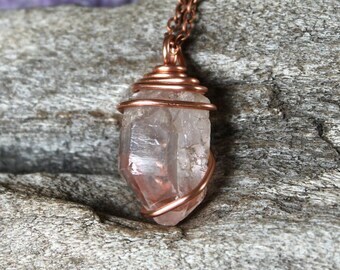 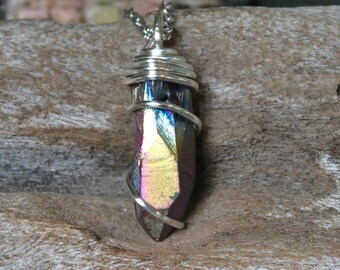 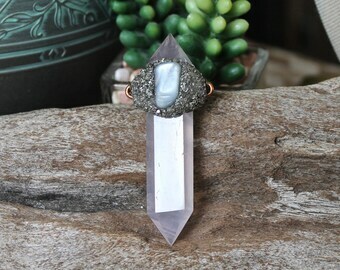 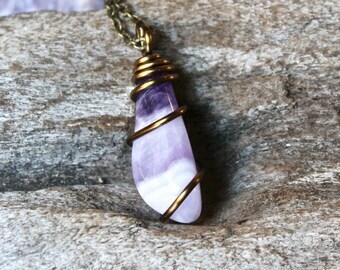 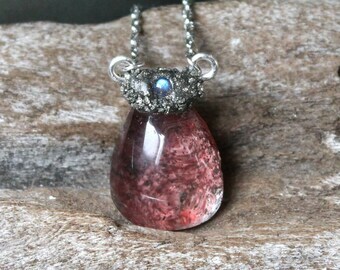 Please take a look at all 10 photos to get a better idea of the true size and beauty of this amethyst moon necklace!